China Is Deprogramming One Million "Religious Extremists"
On May 24, 2018, a heated confrontation took place at the United Nations in New York. The United States and Germany accused China of keeping hundreds of thousands of Muslim Uyghurs in “re-education camps.” The Chinese representative answered that typically, Western governments and diplomats accept at face value fake news spread by anti-Chinese Muslim activists or “terrorists,” and in fact, these camps were officially abolished long ago. Was the Chinese representative simply lying? Yes and no. 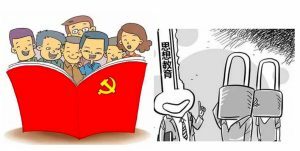 It is very important to distinguish between three different kinds of re-education camps in China. The distinction has been studied in a recent (May 15, 2018) article by German scholar Adrian Zenz on camps in Xinjiang. The article is important, as Zenz has worked mostly on unimpeachable Chinese official sources to document the existence of various re-education camps. I follow Zenz’s study for the typology of camps, while I add comments of my own on how the camps operate, and on the ideology sustaining them, outside of Xinjiang. The first camps described by Zenz are the so called laogai, in fact laodong gaizao (劳动改造), “reform through labor” camps. Inmates are sentenced to a time in a laogai by a court of law after a criminal trial, and laogai are part of the Chinese prison system. The second kind of camps is called laojiao (劳动教养 or 劳教), “re-education through labor” camps, instituted by the Chinese regime in 1957. Laogai and laojiao may seem similar institutions, but there was an important legal difference. No judicial decision was needed to send somebody to a laojiao. An administrative order by a security agency was enough. The laojiao system was widely used for dissidents, devotees of banned religions, and real or suspected “counter-revolutionaries.” This system was, in fact, abolished in 2013, with some of the camps converted into coercive facilities for rehabilitating drug addicts. When, during the United Nations debate, China objected that “re-education camps” no longer existed, it referred to the laojiao. The laogai are, of course, alive and well, but China can argue that there are similar labor facilities for those sentenced to jail terms in many countries. Conveniently, however, the Chinese representative “forgot” the existence in China of the third kind of re-education camp. They are part of the jiaoyu zhuanhua (教育转化) system, normally translated as “transformation through education,” although zhuanhua, in fact, means “conversion.” These camps became an immense network and are creating what Zenz calls “the most intense campaign of coercive social reengineering [in China] since the end of the Cultural Revolution.” Indeed, what is happening is unprecedented. While the laojiao system, Zenz notes, hosted at its peak some 180,000 inmates, credible reports place those interned in the jiaoyu zhuanhua camps near the figure of one million in Xinjiang only. 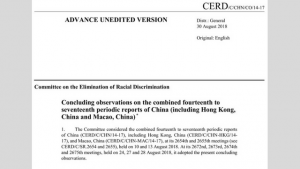 Zenz, however, has studied only Xinjiang and Uyghurs, but he concludes the article by warning that similar processes are going on and targeting other minorities in other parts of China as well. Since the system is extra-judicial, it is not connected with the special laws applicable in Xinjiang. The actual figure, thus, may well be higher than one million. Zenz may be unaware, however, of the connection between the Chinese repression of religious minorities and deprogramming. China bans a number of “cults” it labels as xie jiao (“heterodox teachings.”) It has sought legitimation of its persecution of the xie jiao from Western enemies of “cults.” When I was myself invited to China in 2017 to seminars organized by the Chinese Anti-Xie-Jiao Association, which has direct ties with the Chinese Communist Party, I learned that Western deprogrammers had been invited to China, including some with a heavy criminal record. Deprogramming was a practice popular in the West from the late 1960s to the 1980s when it was declared illegal by courts of law, including the kidnapping of adult members of new religious movements by muscular “deprogrammers,” usually hired by the devotees’ parents. Deprogrammers then imprisoned the “cult” members and bombarded them with negative information about their “cults,” often accompanied by systematic verbal abuse, food and sleep deprivation, and physical violence. Deprogramming disappeared in the West with the 21st century, although some deprogrammers still hide their old practices under new names. But now it seems that China is undertaking the most massive operation of deprogramming in human history. Because deprogramming, in its most violent version, is what goes on in the jiaoyu zhuanhua system. Uyghur Muslims are the victims studied by Zenz but, as he noted, the system was created for Falun Gong before it was applied to Muslims, and in Xinjiang Christians are now also sent to the same camps. In other parts of China, the jiaoyu zhuanhua system is increasingly at work, and members of xie jiao are also targeted, with The Church of Almighty God being labeled by the regime as the first and most dangerous xie jiao currently operating in the country. And perhaps it will not stop with Muslim Uyghurs and xie jiao. “While detainees are supposedly taught to distinguish illegal religious activities from ‘normal’ cultural customs”, Zenz concludes “some reports and informants note that they are in fact forced to recant any religious beliefs.” Religion is increasingly perceived as a disease, and deprogramming is the cure, for one million or more peaceful Chinese citizens.